This merchandise is the best Thundercats item and a good come back for almost how many years now. 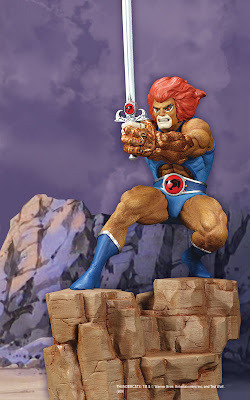 It is a 10 inch Porcelain statue featuring the Thundercats leader Lion-O. According to Hard hero, this merchandise is extremely limited and it will be released on the first Quarter of 2010. So for those who are planning to get it, reserve now before you run out of slots.